The Arc UL quilts are designed for optimal efficiency in the environments met by long distance hikers.Custom features including sizing and weight saving options. Black 10d taffeta - Lightest, most breathableBlack 20d taffeta - Durable, soft and comfortable but up to several ounces heavier! 40°F. Custom item. Multi week lead time. The 40°F Arc UL is designed to balance the lowest possible weight and bulk with the level of comfort needed in the western US mountains during the height of the summer hiking season. This is the 'go light and fast' choice with obvious compromises in cold weather ability. 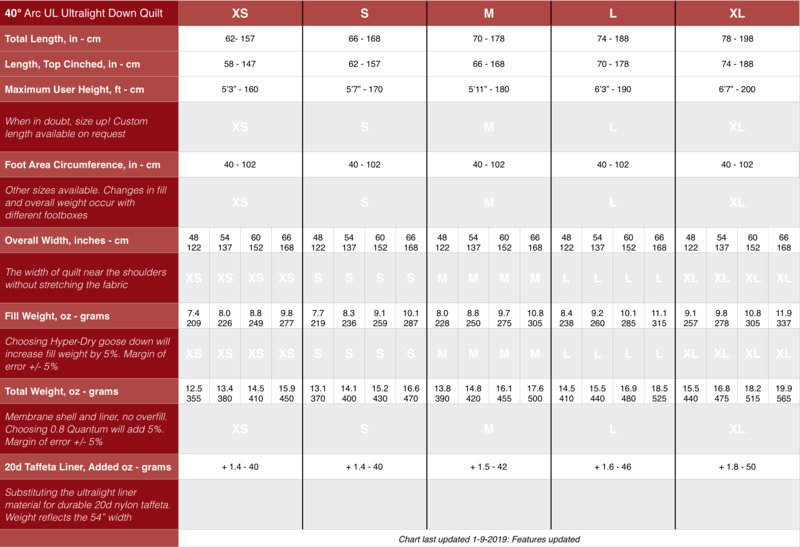 The loft is a minimum of 1.25” Fill volume is detailed in the chart, and offer further insight into whether this quilt will meet your needs. The length is in 4" increments defined by measurements plus X-Small to X-Long descriptors. Using this system you can choose how far up the quilt reaches when on your back. In open mode reaching just the chin level is the absolute shortest anyone should go, and then only on quilts for the warmer seasons. Reaching the user's forehead is the best compromise of low weight - efficient coverage. As always, it is prudent to size up if in doubt. If just a little too short one tends to compress the foot area insulation to the detriment of cold toes. The shoulder and foot area widths can be customized for individual needs and sizing. 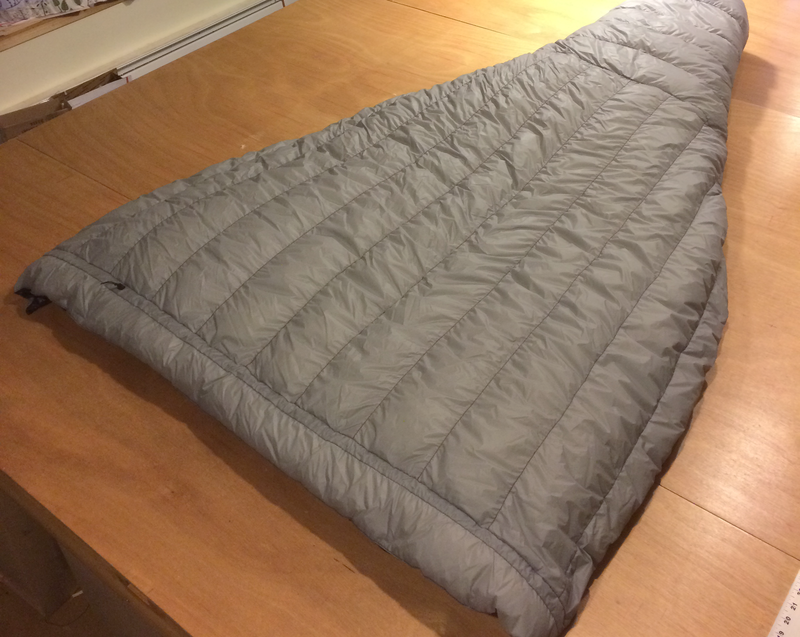 Newcomers to backcountry quilts can experiment with a blanket before committing to a sizing setup. The traditional Arc design is a permanently closed section finished with a round bottom piece sewn in place. A design common with high-end mummy bags. Immediate apologies for the complexity of the following! We offer the discerning user options to fine tune the performance of the Arc UL via a series of technical shell materials. Classic: 10d ultralight breathable shell. 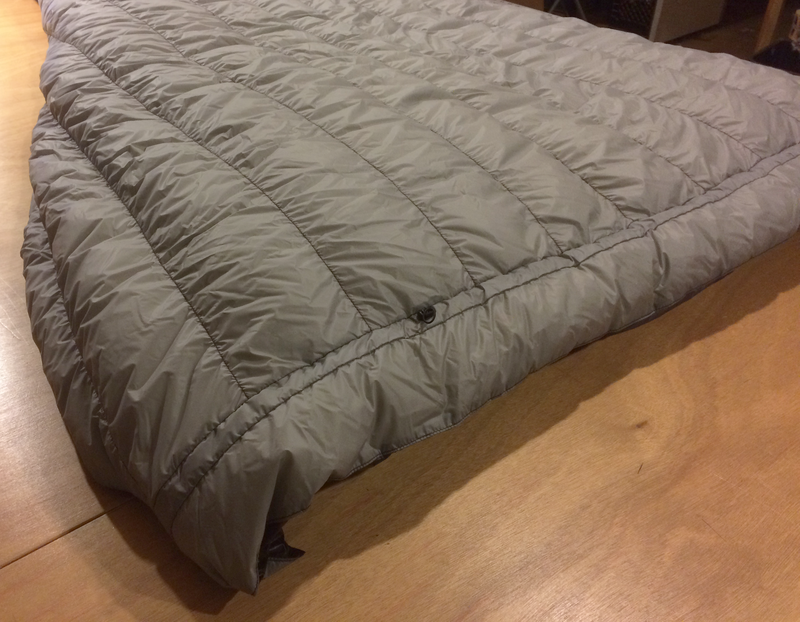 This ultralight choice creates a comfortable sleep environment at the lowest weight. It will, however, wet out and transfer moisture to the down if exposed to prolonged dew, mist and damp tents. On the other hand, the superior breathability allows it to dry quickly in the sun. Ideal for moderately dry weather, desert hikes and anyone with a traditional double walled tent. Full Moisture protection: 7d ultralight waterproof/breathable shell. With this as your outer material there’s minimal concern about external moisture migrating to the down. Also, the lesser breathability boosts the temperature rating a small amount. The choice for wet environments, ‘cowboy camping’ and for users of flat tarps wanting to eliminate the bivy bag. The 7d wp/b is coated fabric, yet has a very light denier count, and as such adds under 5% to the total weight over the 10d option. 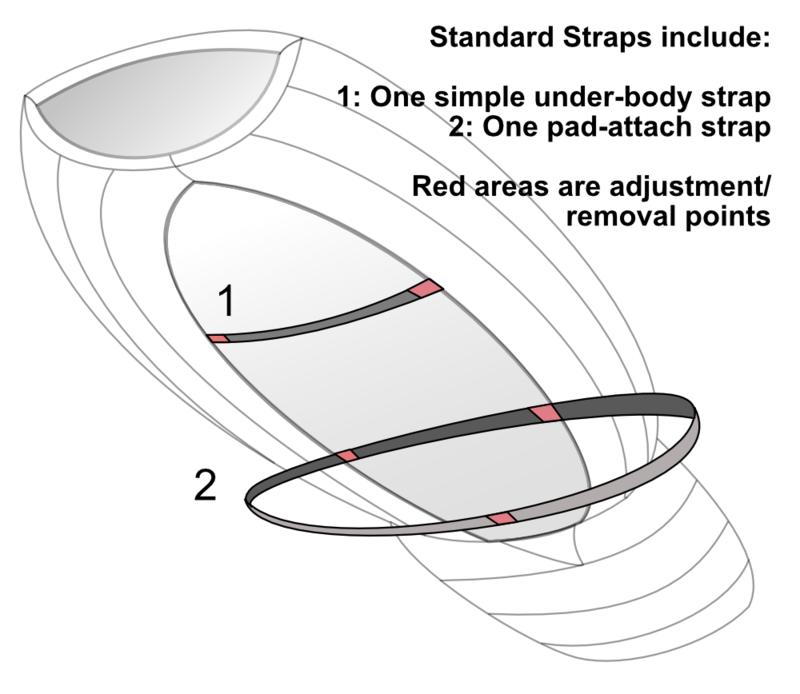 Combo of above two: A combination of 10d breathable and 7d wp/b shells. With 7d wp/b only covering the outer foot section and top draft collar you can protect the down where it matters the most, while leaving the large mid section fully breathable. For use in the modern single wall tent where rampant condensation often collides with the lower end of sleeping bags. Also, the draft collar is protected from moist exhalations. A very versatile setup. Look closely at the configuration table below, in order to select precisely what suits your use. The worst long term wear on quilt fabrics is the inside liner material. If you want to break with true UltraLight traditions, and risk adding up to 2 ounces (!!) of weight, the Arc UL can be upgraded to our soft, durable 20d Taffeta black liner, specifically developed for sleeping bags. Besides the custom sourced shell and liner materials, we also consider shock cords, buckles, snaps and other notions as specific targets for UL optimization, further shaving grams. The quilt, a set of quilt straps, a silnylon stuffsack and a large breathable storage sack. 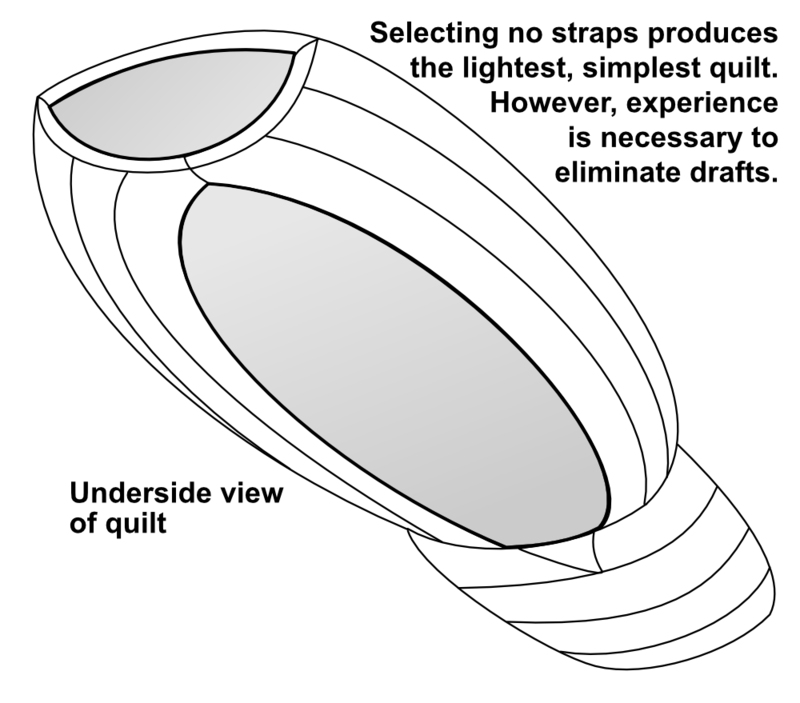 Go to the bottom of this page for the full Arc UL Configuration Menu. Length and width choices affect fill weight by roughly ½ to 1 ½ oz, depending on temperature rating. Just opened the box. Impressive! The loft is fantastic, the construction top-shelf, the weight lovely, and the straps the perfect combination for my needs. I think by putting our heads together we designed exactly what I was dreaming. Can't wait to try this thing out. I cowboy camped in my yard in Nashua NH last night (December 2018). When I woke up it was 12°F with a very slight breeze. My nose was cold. I had the Arc UL 30°F quilt and the Nano 40°F blanket (which ended up over only my legs by the time I woke up), and wore the balaclava. I was wearing a light wool base layer. I was perfectly warm all night. The only cold was when I would move a little opening would form and a draft would blow extremely cold air for a second. The quilt and balaclava are amazingly warm. Glad I didn't get the 20°F quilt or I would have been too hot. And thanks for the matching custom purple fabric on everything. The rating reflects the lowest temperature during which a well conditioned hiker can expect to remain comfortable throughout a full night. Adequate shelter and ground pad must be used. To determine the correct length please refer to the measurements in the chart. 54" is a good standard for regular sized folks who doesn't toss around too much. For winter bags go one size up. 40" is the male size 10-11 shoe standard. Adjust accordingly. 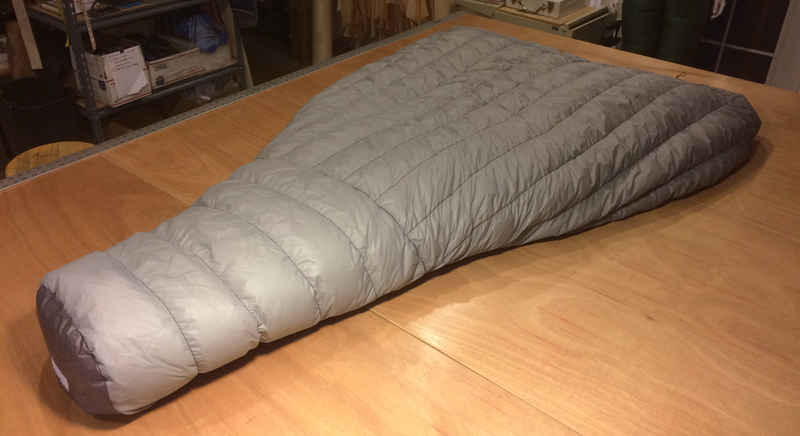 The first selection substitutes a black 7d waterproof/breathable shell fabric to the lower third of the quilt, plus the top neck/head opening. The large vertical baffled middle section remain with the classic 10d breathable fabric. The second choice, represented by 'Full Coverage', will completely replace the 10d breathable material with a full coverage of the 7d waterproof/breathable shell in blue. Choosing Hyper-Dry moisture resistant down will help combat the effects of perspiration, misting tents and damp air. Nunatak products made with Hyper-Dry down will have a slight increase in bulk over those made with regular down. A 5% increase in fill weight also occur. None. 2 Side Mounted Under Body Straps, Ultralight Version 2 Side Mounted Underbody/Pad Straps - Removable. Adding overfill can prolong the life of the down, help maintain loft during moist conditions, boost the temperature rating by a small amount and keep the down volume from shifting. Expect a weight increase ranging from one to six ounces depending on the product, the size and the rating. Our stuff sack are pretty dope, but current weight saving trends in ultralight circles eschews this once crucial item. So, opt out and save $ while also being very current.